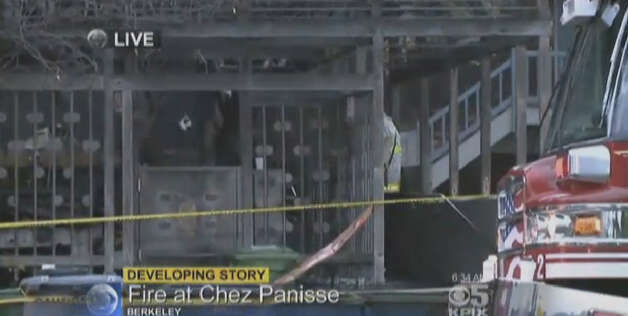 Overnight fire at Chez Panisse in Berkeley. Est. $200,000 damage. The beautiful front of Chez Panisse burned last night also burning the front porch. 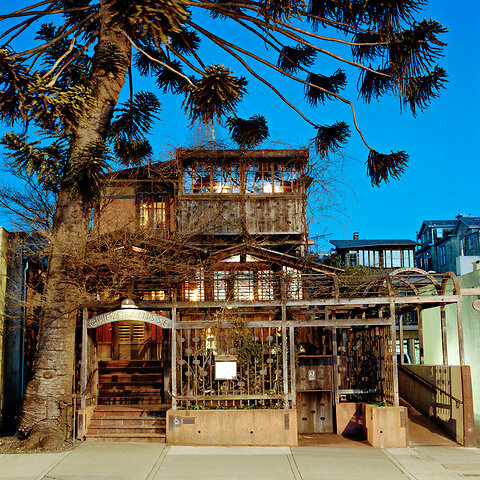 Alice Waters who started the restaurant with partners in 1971 said that they will rebuild. Only the front porch area which sat 8-10 people saw the flames. The upstairs cafe, kitchen and first floor dining room were sparred, however the first floor will take longer before we see it back in action due to more severe damage. Mrs. Waters said that she will be looking into re-designing the front porch area to try and include more seating in the new design. Chez Panisse made an international name for its self due to her use of locally grown fresh ingredients sourced as close to the restaurant as possible. I have only eaten at Chez Panisse once, but the restaurant is not very far away from my brothers house and it was an incredible meal. I am sad to see this random event strike such a great eating establishment. I along with others will be watching and waiting for them to rebuild. They are canceling reservations through March 23 2013. I look forward to when Chez Panisse looks back like this….